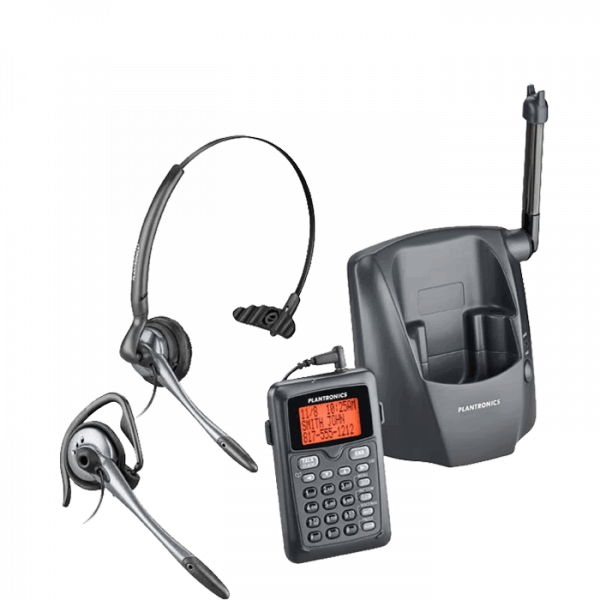 Plantronics CT14 Wireless Telephone - Headsets Direct, Inc. The perfect wireless headset solution for home use providing a convenient size, allowing free range for you to walk around as well as keep your hands free – introducing the Plantronics CT14 Wireless Home Use Headset Phone. 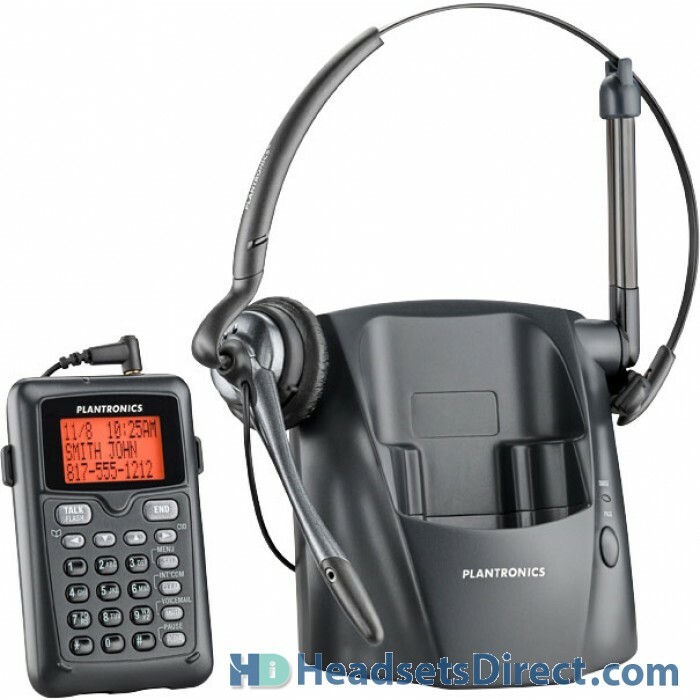 This headset is very portable for long range dialing and receiving calls from up to 300 feet/100 yards away from the charging dock. 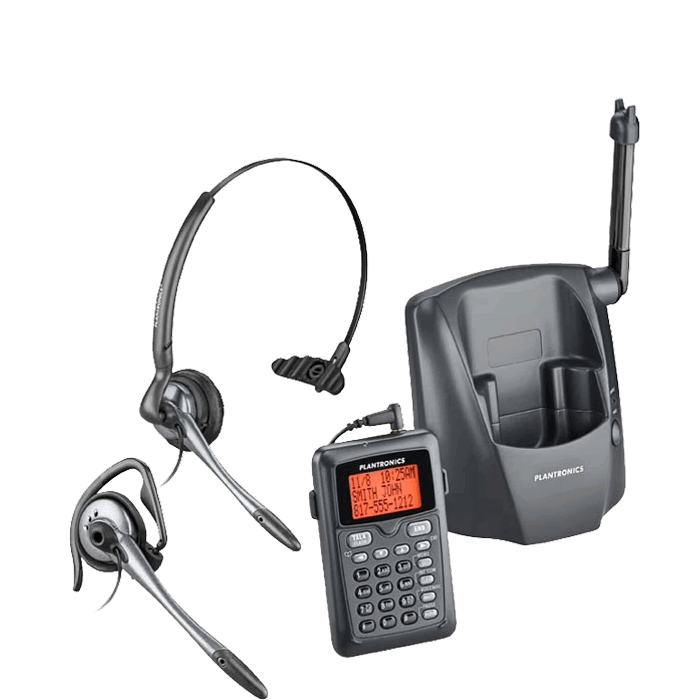 The CT14 has a single line fully operated DECT 6.0 system and a noise-canceling microphone that will restrict the headset from interference with other Wi-Fi networks and keep conversations clear. The CT14 Wireless Home Use Phone has about 10 hours of call time to keep you talking throughout your work day. This headset wireless phone also includes one touch access for redial, volume controls and voicemail* as well as Caller ID/Call Waiting*. The CT14 also offer a headset with two different wearing positions: over the head position or over the ear. I have used the CT14 for several years with no problems – have recommended the CT14 to many consultants, who work from home. This product is amazing, no feed back from any line, the noise in background is not there and its just an amazing product. I would buy this product anytime. Thank you for the suggestion on this headset it is just amazing. Belt clip broke after 1st month and broke battery cover when unit hit the floor. Headset wire causes interference and noise, must constantly adjust to get clairty. Overall good distance and battery life. Could have put a little better quality in construction of unit. Great headset. Wouldn’t work without it! When I called the person on the other end was very helpful and friendly. Would work with them again. We purchased 2 of these models several years ago directly from Plantronics. The belt clips have never held on to anything and the phones were dropping on the floor. I bought a replacement battery for one of the phones and it never worked. All of it went in the trash. After years of use, very satisfied years, my old CT12 finally started a low level clicking that was annoying to me and the party on the other end. With parts being obsolete I decided to spring for the CT14 for my home office. I’ve always liked the portability and long battery life and great range. The specs for the CT14 promised more of the same. After receiving the unit and beginning programming I realized that the CT14 doesn’t have speed dial capabilities. This is WHACK! !… How could Plantronics leave off a basic basic feature. I’m not sure if I can keep this unit. Will shop around and see if there is a comparable product. I have used Plantronics headsets for years and when my ct10 stopped working after years of abuse I bought a ct14. I use the headset for 6-8 hours a day of talk time and never run out of battery life this headset is the best one I have had yet. the sound quality is great I have never had a problem with it. Clear, long distance, does just what I need it to do ! The first unit I got had a static issue. I called headsets direct and they took care of the problem immediately. I am able to use the phone flawlessly.